Although an auto accident can be a very frightening experience, it is crucial to remain composed and take the proper actions needed to ensure your safety. In the event of an auto accident it is important to immediately pull off to the side of the road. If you are injured, you should seek medical attention, and pursue legal aid from a car accident law firm. There are two dominant elements in determining an auto settlement in regards to a negligence case. Liability must first be established in determining who is at fault or responsible for injuries. Whether you have been rear ended or not, the state of Florida determines liability under the comparative negligence statute. Varying by case, a jury then determines liability for one or both parties. Damages and injuries induced by negligence in the accident are the second most dominant elements to be considered in determining value in an auto accident claim. Injury is determined by severity in most cases. Soft tissue and broken bones are important factors in the outcome of your case, as well as property damage and lost wages. Call Blick Law Firm today if you have recently been involved in an auto accident and receive a free case evaluation. A personal injury attorney can help to you protect your legal rights by providing exceptional legal representation, as well as help to ensure that you receive proper medical attention. Call 888-973-2776 today! According to the Florida Department of Highway Safety and Motor Vehicles, an estimated 235,461 traffic accidents took place in the year 2010. Automobile accidents can cause severe physical damage, and it is imperative to practice safe driving at all times. In the event that an accident does take place, it is very important to know what safety tips to take to protect yourself and your personal injury case. An auto accident can be a very frightening experience however, it is crucial to keep calm and immediately seek medical attention. It is additionally important to call 911 and go directly to the hospital if you are severely injured. If your injuries are not serious or life threatening, you must move your vehicle to the side of the road for to avoid disrupting incoming traffic, and to ensure your own safety. After your vehicle has been moved and you are in a safe location, you should gather the necessary information regarding your accident for a potential legal suit. Upon injury, it is important to always contact an auto injury lawyer for legal advice. An auto accident lawyer can provide general information on how to proceed after an accident, as well as provide legal counsel. An attorney is necessary to ensure your protection and that of your loved ones against an insurance discrepancy. If you need medical treatment, an attorney can also negotiate your medical bills, as well as additional value to your claim. If an insurance company proceeds to contact you regarding your injury claim, remember not to disclose any information that can be recorded without first consulting with an attorney. Call Blick Law Firm today for a free case evaluation regarding your personal injury claim. 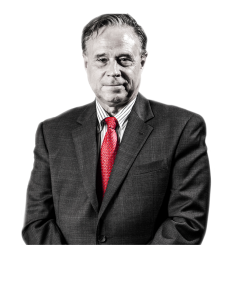 Attorney at law, Michael Blickensderfer has over 25 year’s legal experience. Blick Law Firm is a Christian-based firm located in the beautiful Carrollwood area of Tampa Florida. Blick Law Firm also handles cases throughout the entire state of Florida, New York and New Jersey. Think quick, Call Blick! This Saturday, Tampa Bay celebrates the 2014 Gasparilla Pirate Fest. This all day celebration welcomes the public to a spectacular parade and festival inspired by Jose Gaspar. This highly anticipated festival accommodates over 300,000 people each year, resulting in a multitude of elated crowds and overly enthusiastic guests. Reports from earlier Gasparilla Parades recount numerous arrests for open container violations, and various citations for civil infractions. Arrests for alcohol related criminal offenses are also very prevalent, particularly in Disorderly Conduct, DUI, Boating, Under the Influence, and Underage Drinking. 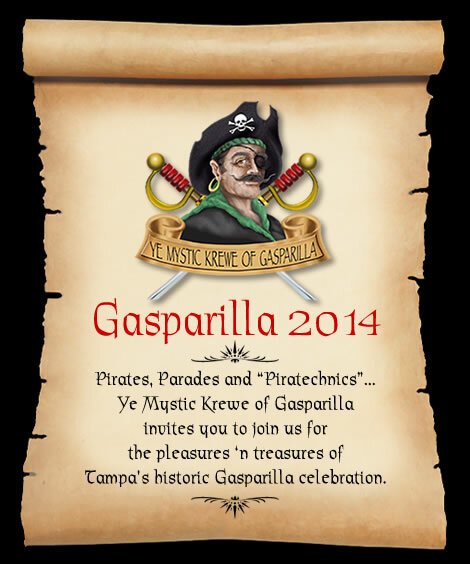 Amid and following the Gasparilla events, it is crucial to practice safety and avoid a potential arrest. Be prepared and make the necessary arrangements ahead of time to get home safely. Be sure to protect the safety of others, and follow the following guidelines provided by the City of Tampa. Plan your day in Advance – Save time by planning where you will park and the route you plan to take. Pick a meeting place – Select a spot where others in your party will know to return in the event you get separated. Know the “Wet Zones” – The parade route allows participants to drink alcohol openly, but only from vendors selling along the route. No coolers, kegs or open containers are allowed elsewhere on the streets; and absolutely no glass containers. It is important to quickly consult a Criminal Attorney in the event you are arrested during the Gasparilla parade. A Criminal Attorney can advise you in regards to your rights, and what to do should an arrest take place. Call Blick Law Firm right away at (888) 973-2776 to schedule an appointment for a free 15 minute consultation with attorney Michael Blickensderfer. Think quick, call Blick! If you get into an auto accident in Florida, there are several factors that you should consider. First, seeking medical attention after an accident may be critical to your health and safety. Waiting too long to seek medical attention may damage your personal injury claim so it is important to seek medical attention in the first weeks of an incident. Additionally, property damages arise and need to be addressed. Injuries caused from an accident may require extensive treatment or rehabilitation, depending on the severity of injuries. Medical bills may become extensive and an experienced personal injury attorney may be able to assist you with reducing those costs. It is important to find a competent accident lawyer to serve your legal matters and assist in your auto claim. The statute of limitations for a typical personal injury claim is four years from the time of the incident. It is important after an accident to set up your claim within the four years and pursue legal action. If a lawsuit is filed during that time, there is an extension made to protect your case during the litigation process. Contact a personal injury lawyer today if you are injured due to the result of someone else’s negligence. Blick Law Firm has over 25 years legal experience and attorney Michael C. Blickensderfer is a compassionate attorney, who specializes in personal injury cases. Contact us today for your free case evaluation. Think quick, call Blick!